You are on a need-to-know basis. You’re told only what’s relevant, and nothing more. Rumors, innuendo, extra little details, none of that’s important; only what you need is what you get. But read “The Lost Eleven” by Denise George and Robert Child, and you may wonder what else you’re missing. Hitler reportedly did not want the 1936 Olympics in his Berlin. Not a sporting man, he didn’t see the point, until he was told that the games might be a good chance to showcase his Aryan athletes. He acquiesced, and openly seethed when African American star Jesse Owens snatched medals away from Hitler’s all-German track team. “Almost five thousand miles away,” Owens’ achievements made a strong impression on young George Davis, who puffed with a patriotic pride that lingered and that carried him to the recruitment office when Japan bombed Pearl Harbor . Against his father’s wishes, Davis joined the Army. But serving Uncle Sam didn’t protect a man from Jim Crow. At the beginning of the War, say George and Child, fewer than four thousand African-Americans were enlisted in the military. Most landed in racially-segregated, noncombat units, tasked with “menial labor” well behind the front lines, which rankled them. Many were eager to see action, and were denied it but Davis and his fellow soldiers at Camp Gruber , Oklahoma , got what they wished for: their 333rd Field Artillery Battalion was ultimately trained to operate the new 155mm Howitzers. They were going overseas. From Normandy in late June, 1944, to France and Brittany, the 333rd and 969th Battalions did what they were sent to do; by September 1944, they were on their way to Schönberg , Belgium , to a “Ghost Front,” so-called because it was “quiet.” Once there, men of both Battalions heard German rockets and believed that the sounds were recordings meant to fool them into believing German troops were nearby. But in the early morning hours of December 16, the gun-noise was authentic. Some three years ago, and nearly seventy years after their bloody capture, a House of Representatives Resolution finally gave the 333rd Field Artillery Battalion the “official” recognition it deserved (Belgium had lauded them in 2007). Even so, their story is rarely mentioned in World War II history. It’s not much better told here. 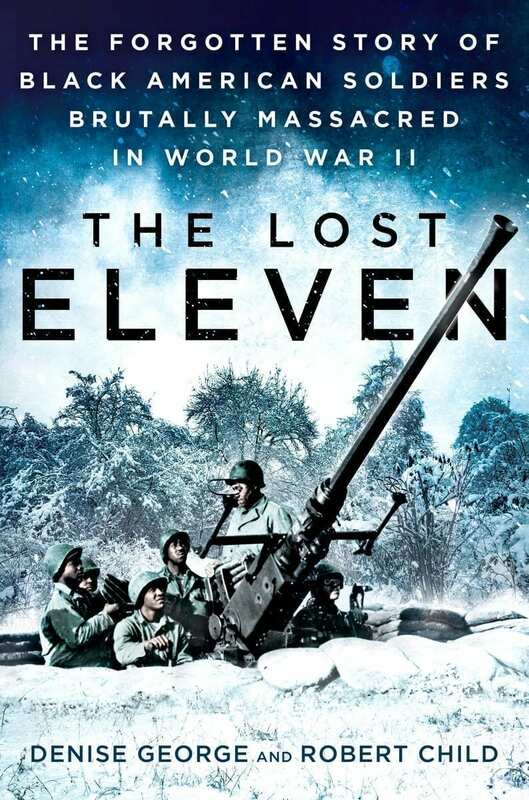 I had such high hopes for it: “The Lost Eleven” could have become a classic, a story that War buffs and historians might happily reference. Instead, it’s marred by pages and pages of fictionalized conversations, imagined emotions, and recreated actions that make this book more novel than not. One could say that it moves the story along, but not very well; the conversations are borderline-insulting to a reader’s intelligence, and the imagined emotions felt like so much pandering. Add that to the unnecessarily gory ending told (which felt out-of-place in the tone of the rest of the book), and I say “pass” on “The Lost Eleven.” If you want to learn about these brave African American soldiers, there are better ways to know.